I’m overwhelmed to share this great news with all of you 🙂 We have been keeping this little secret to ourselves.. My God, keeping a secret is definitely not easy!! I have completed my third month pregnancy and had a scan done earlier today..
MasyaAllah, it’s like a dejavu seeing God’s creation. It may looks big on the screen, but in reality, a 3 month old fetus is only about 5cm long. God is great..
Posted on July 31, 2012 by Dr Halina Mohd YunosPosted in FamilyTagged pregnancy, wish. Previous Previous post: B’s 1st Birthday Party at School! Congrats doc…bella nk jd kakak..
insyaallah, may yr wish come true….. amin…… we are happy for you……. OMG! Alhamdullilah..Congrats Dr Halina !!! Gembiranya dengar berita ni. Semoga semuanya selamat ibu dan baby!! Alhamdulillah. Congrats to both u n Dato’ Sheikh. I knew it!!!.. congrats!!! Bella gonna be a sista!! Cpmgratulations!! I am so happy y’all!! alhamdulillah, seronoknyeeeeee… i pun teringin nak tambah lg… mudah2an dpt.. aminnnnnnn..
jazakallah=thanks. it should be mabruk, hehe! Congratulation dr halina….. I am really glad to hear this good news!!!!! Congratulations to both of you..
alhamdulillah.. tahniah 🙂 suka baca blog doktor..
tahniahhhhhh dr harlina. pray that u’ll get a handsome baby boy ! I’m a silent reader of yours….Congrats dr halina…. very happy to hear it… rasa mcm baru je bella lahir…..
Tahniah ija.. Smoga dpermudhkn semua..
alhamdulillah.. congrats dr.. hv a safe pregnancy..
Wishing all the best for 2nd pregnancy..
congrats Dr Halina n Dr sheikh Muzaffar. I’m going to be a grandmum…. so excited waiting for my first grandchild. Congrat dr! Actually i dah boleh agak when read your entry seeking opinion about formula milk hari tu, but i guess it is too early for you to share kan, wahh dah 3 months keep secret yea…sure badan slim lagi ni..hehe happy for u and bella dapat adik, take care dr! Anyway,finally bella minum susu formula apa? Congratulations to u!What a great news!Im happy for both of u.Me too having a second child now and insyaAllah will be deliver end of Oct.Semoga semuanya Selamat.U take care. Congrats Dr. Harlina & Dr. Sheikh & Bella too….. So happy this piece of brilliant news.. congratulations to you, hubs and bella! Congrats dr halina n dr sheikh.. Happy for u.
Alhamdulillah. WowW Congratulations Dr. Im sure Bella will be a very good sister! I hope this coming new baby is a boy. Cute boy like his sister pretty bella. Tahniah Dr. I dah dapat agak dah bila u cakap nak cari susu formula utk Bella. Alhamdulilah. WowW Congratulation Dr. Im sure Bella will be a good sister! Alhamdulillah. WowW. Congratulation Dr. Im sure Bella will be a very good sister! Congratulations dr n hubby, also to Bella! Congrats doc Halina and husband. I’m happy for you. 🙂 May Allah bless. congrats dr.halina, me also in the same condition as you but i’m expecting my 1st. the previous pregnancy is gone at early stage. congrats to u doc.. i’m so happy for the good news. Moga selamat anak dilahirkan di bumi ini. Tahniah dr. Dah dpt agak masa paed i tweet dgn dr aritu. Moga semuanya ok. All the best! Alhamdulillah…happy to hear that news. Congrats for the second pregnancy. I pray that u will be in good health always. Congrats SuperMommy! All the best! On your way to 10. But don’t forget to write to us about Little B (or will it be Big B now)? alhamdulillah and congrats utk dr halina & sekeluarga..
Tahniah sis Lina. take a good care!! Congrats dr halina…take care both of u!! congrats dr. halina..take a good care! Anak sulung saya was born on 23rd July 2011 which is sebaya Bella. alhamdulillah dr, tahniah…so this time deliver dlm air lg ker? ?hehehe…hope bby n dr sihat n selamat..aminn..
Sukur alhamdulillah tahniah ye…wah best la bella nak dapat adik baru…huhuhu..take care dr..
congrats kakna!! !finally update gk pasal bnd ni eh..dah agak dr awal lg.anyway take a gud care ok 4 u n the new bby…to Bella,nk jg kaklong dah awak 2..tolong mummy jg adik nanti k..luv u! Dr Halina,congrats to both of u! Actually I’ve thought the news earlier from your previous entry…me myself have a kid who will be soon 18 months…Lately I heard so many good news about getting pregnant again from young mothers which makes me think, is this the correct time for me to conceive? Since looking to my little boy, I do think that he may not ready yet to get a brothes or sister…huhuuu…but like u said, Allah knows the best for us….congrate again Doc! P.S. Since past few weeks asyik dapat cerita kawan-kawan pregnant. Bella nak jadi K Long. 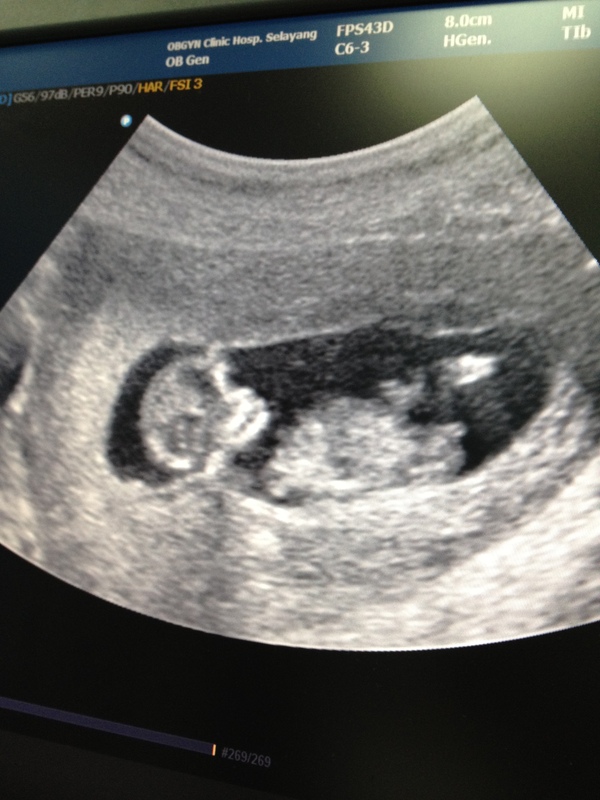 alhamdulillah..bella gonna be a big sista….suweeet! wah… im happy for u.. tahniah sgt!!! Tahniah dr halina!me too pregnant.now 14weeks..ths is my 3rd pregnancy & yg no 2 baru 10bln..mula2 dpt tau i pregnant lg mmg terkejut..yerla kesian kat yg no2..kecik lagi..tp bila dr halina announced about ths,i rasa teruja..that means Dr pun experience with close pregnancies…i ada kawan..hehe..moga Allah berikan kita zuriat yg sihat,comel&soleh..Amin..
Tahniah Dr…Take a great care of yourself and baby to be…. Tahniah Dr. Halina.. same with me.. I 6 weeks pregnant already… congrats to you.. Bella dah jadi kakak.. anak saya Haiqal dah jadi abg.. Syukran Ya Allah..
Congrats Dr! I’m feeling estatic as reading the great news. Take care of yourself and the baby. We got 2 things in common, my dotter name is Sofea, 19 Jul 2011, n my hubby alsa is Encik ‘Muz’, kekeke! Praise Allah for All His Love. congrats to both of you + bella! ni mmg betul2 plan nak dpt 10 orang anak ke…nasib baik bella keluar normal, boleh pregnant 2nd time cepat2. tak sabar nak tunggu the second one…take care…banyakkan makan kurma utk lebih bertenaga, yelah kena jaga Bella and daddynya…. Congrats! I’m expecting too. My lil’ boy is 1 month older than Bella. =) Rase nye due kita x jauh, still.. mine will be a month earlier than yours. InsyaAllah. Tahniah..your first baby so cute and should be coming 2nd one double cute..semoga baby and Dr Harlina sihat..
Congrats to both of you… Moga Allah memberi berita gembira juge utk sy & suami… Ameen.. I hope all the best for your family Dr Halina. Congrats Dr. Halina & Hubby & Bella also – oh, she’s goin to be “kakak” soon..bestnyer!!! Tahniah! Hehe tetiba rasa excited pulak nak pregnant tp baby bulan depan baru 1 thn huhu =). Pepun always excited to read about you and bella . nnt slalu2la citer pasal baby & bella lagi ya. May Allah bless you, baby , bella & family =). tak sabar nak tau b or g hehe..take care & selamat berpuasa! dok ble due? ?i 11/02/2013..three months also..he3..
tahniah dr halina..bella mesti tak sabar nk main dgn adiknya nanti..
Jom “follow” blog Mummy Akmar dan sertai “Projek Amal EQQ” untuk anak-anak yatim di Perak. Di harap, semua dapat support dan bantu mereka yang memerlukan. Dan mendapat keberkatan dari Allah di bulan yang mulia ini. Congrats Dr. Take care ya. Alhmdulillah.. Syukur nikmat Allah, smoga semua dipernudahkn oleh-Nya, amin..
Congratulation to both Dr..And to Bella,u gonna be a good sister.Don’t be naughty k B..Hope B get a lil brother just like her mother wishes..
Congratulations Dr. Halina, Dr. Sheikh & Bella. How your morning sickness especially in fasting month? dh agak.ni mesti penyebab nak kasi bella formula milk :).. congrats dr.. im happy for u..
congrats….hopefully is a BABY BOY…..kali nie dalam air lagi ke??? Alhamdulillah…tahniah ye Dr….semoga doa & impian Dr. utk dpt anak lelaki dimakbulkan oleh Allah s.w.t. Byk2 lah berdoa di bln yg mulia ini agar semuanya selamat….